A week or so ago my Iranian artist friend, Dr. Ahmad Nadalian, visited New York City and several other US cities on an official invite for a sponsored exhibition that he was having in Washington, D.C. 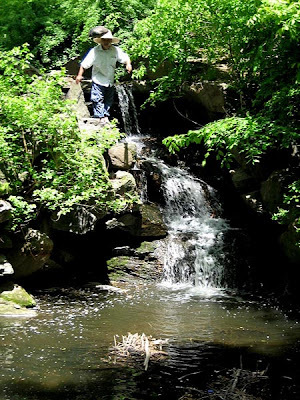 I met him on a bright, sunny morning in the northern woods of Central Park where he was carving several of his 'prehistoric' river art fishes. 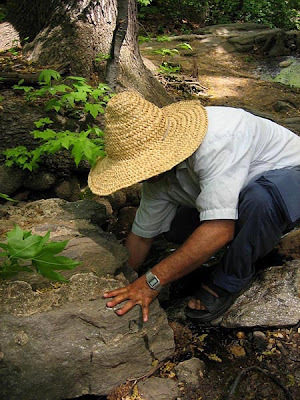 Dr. Nadalian has a long tradition of submerging his carved rocks in rivers and bodies of water where they might forever add to the spirit and environmental protection of the place. The artist also views the fish symbol as being emblematic of the human soul. 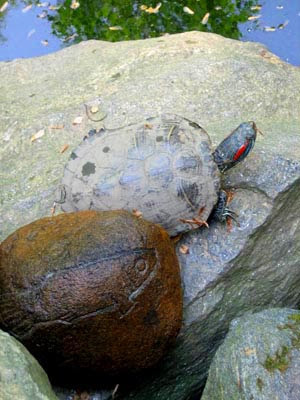 Amazingly, before tossing one of his carved rocks into a pool below a rushing waterfall, a local turtle made an appearance adjacent to the rock that was soon to be submerged. A sign perhaps that the native species of an urban park approve of this new addition to their habitat? 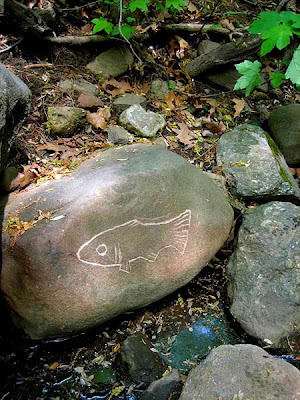 For more information on Dr. Nadalian's river art projects visit his website. Landviews.org is a wonderful online journal and dedicated network of artists, architects, designers, and ecologists working in and for the landscape. 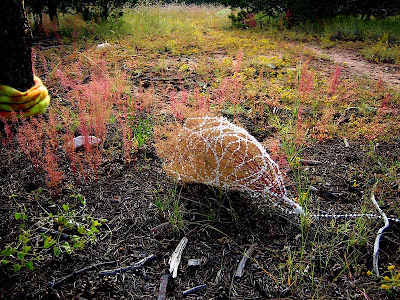 They are currently featuring my article, Returning to and from THE LAND: Connectivity and Crafting Residency, a follow up to my September 2006 artist residency in rural New Mexico.